With all the amazing roast deals that Safeway had going this week, you’ve likely got one roast in the refrigerator and another in the freezer like I do. Anytime roasts are under $4/lb, I always get a couple because it’s one of the easiest meats to prepare. I personally love using the crock pot for my roasts, but you can easily put the roast in the oven as well. 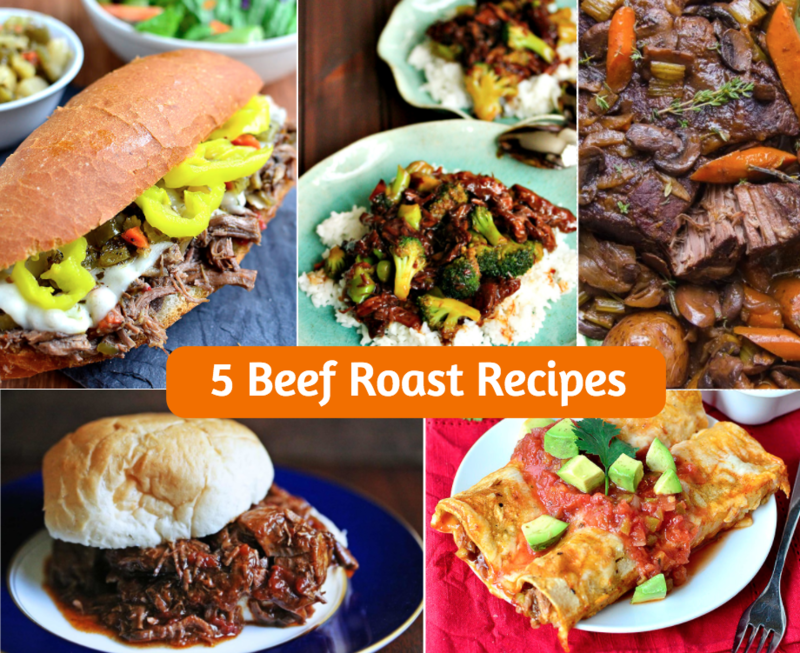 Here are 5 easy beef roast recipes and 1 video to help you figure out what to make with your roasts this week. 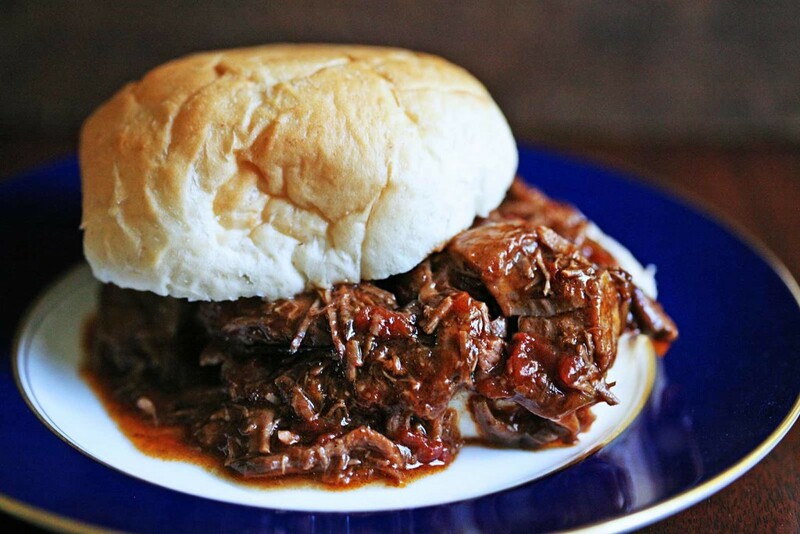 Combine chuck roast with onions, canned tomatoes, and bbq sauce to make delicious BBQ beef sandwiches. You can easily do this in the crock pot and let everything simmer all day so that dinner is ready when you get home from work. Get Braised BBQ Beef recipe from Simply Recipes here. Combine chuck roast with Italian salad dressing mix, pepperoncini peppers, Giardiniera mix, and beef broth to create a scrumptious Italian flavored meat in the crock pot that you the serve in a hoagie roll with melted provolone. 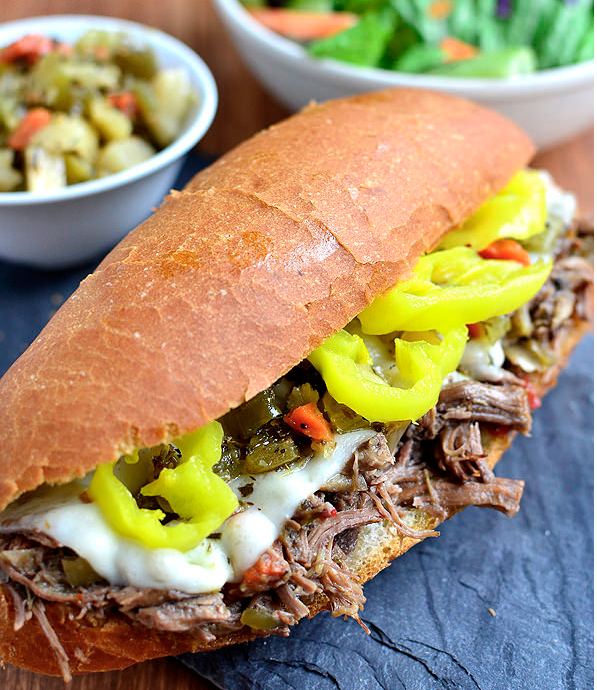 Get the Italian Beef Sandwiches recipe from Iowa Girl Eats here. Seasoned chuck roast is slow cooked in a crock pot then shredded and mixed with mild green chiles. After being rolled inside corn tortillas with shredded cheese, smothered in enchilada sauce, and then topped with a bit more cheese, they’re baked until golden brown and bubbly. 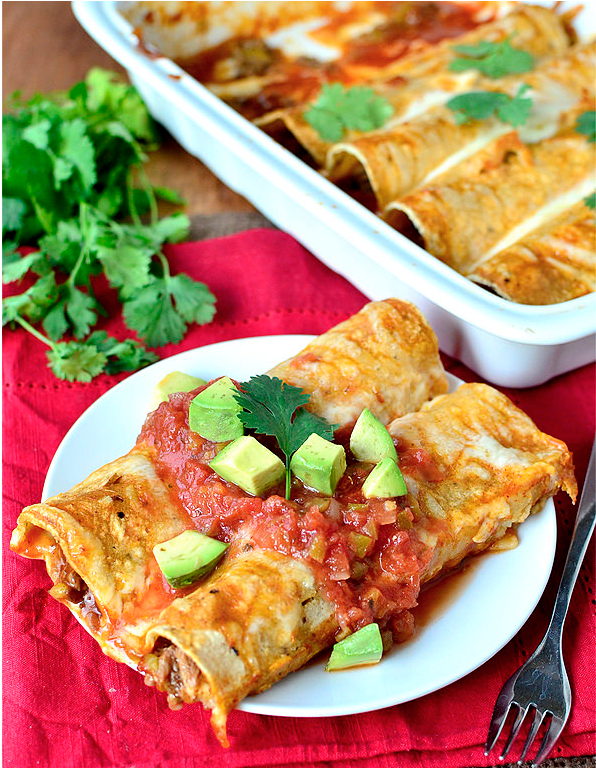 Get the Shredded Beef Enchiladas recipe from Iowa Girl Eats. 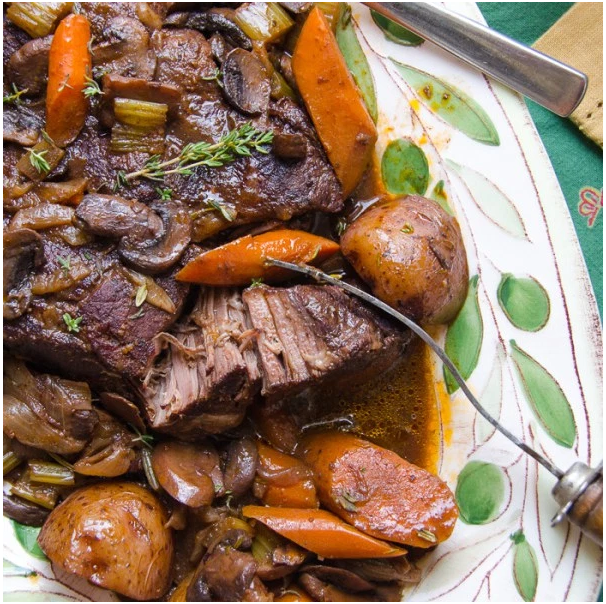 Combine beef roast with mushrooms, carrots, fresh herbs, potatoes and broth to create this scrumptious pot roast. Get the Homestyle Pot Roast recipe from Garlic and Zest here. Combine beef roast with broth, soy sauce, brown sugar, sesame oil, garlic and broccoli in the crock pot to create an asian take-out dinner in the comfort of your own home! This is one of my kids most requested meals. 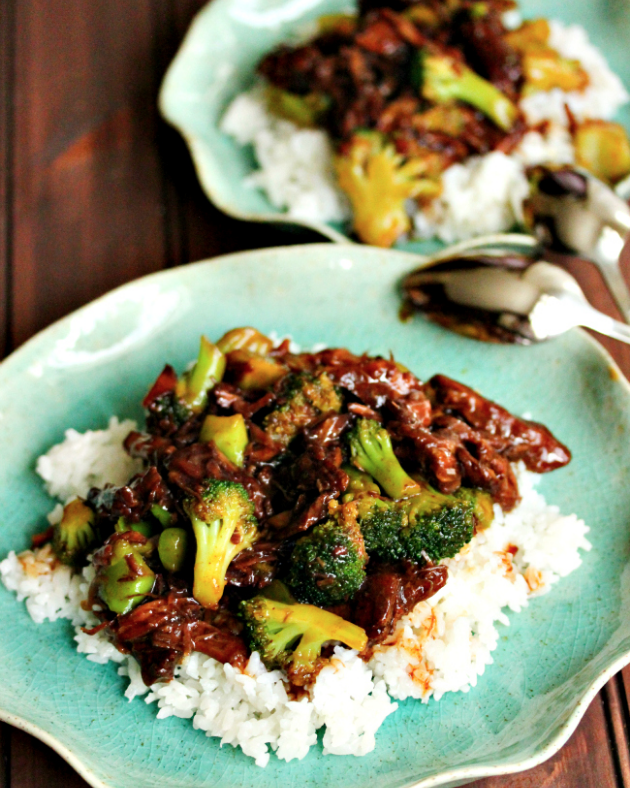 Get the Crockpot Beef and Broccoli Recipe from Table for Two here. Check out our SuperSafeway Beef Recipes Board over on Pinterest for even more delicious beef roast ideas!